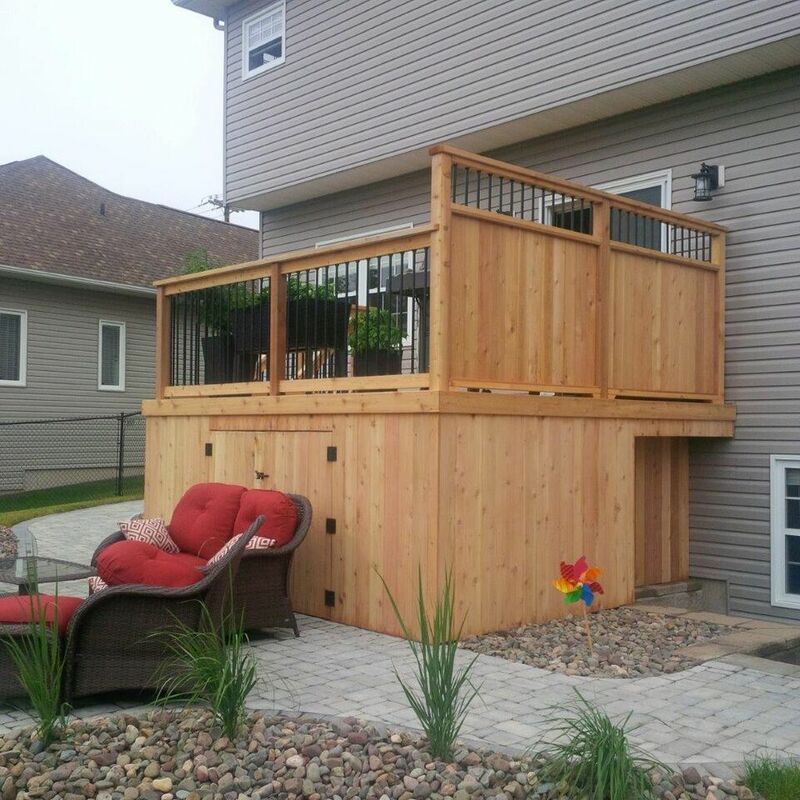 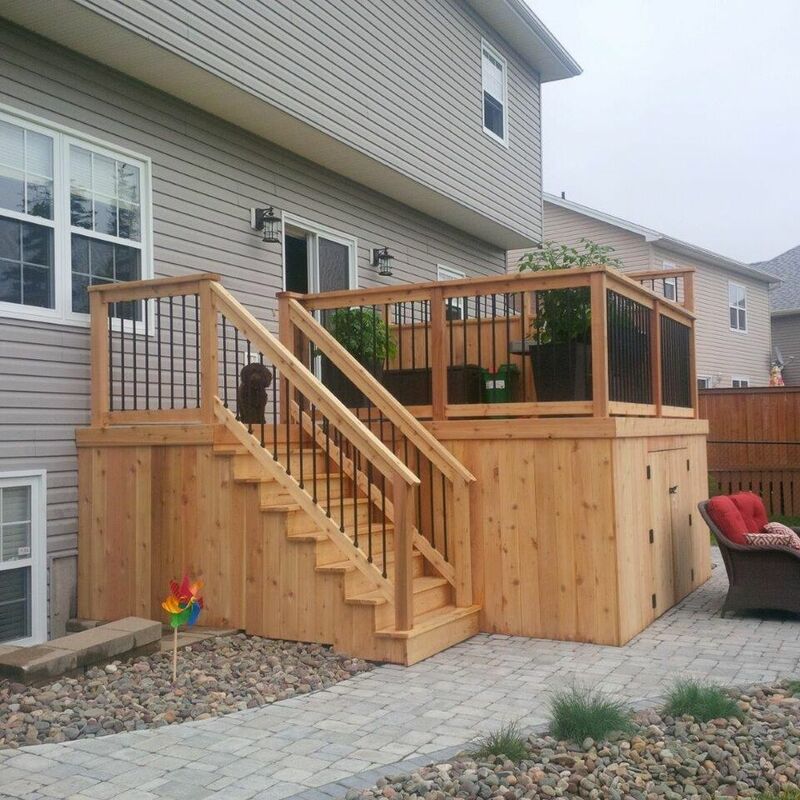 This project was built using Eastern White Cedar, a wood that is naturally durable and has an exceptional resistance to moisture and insects. 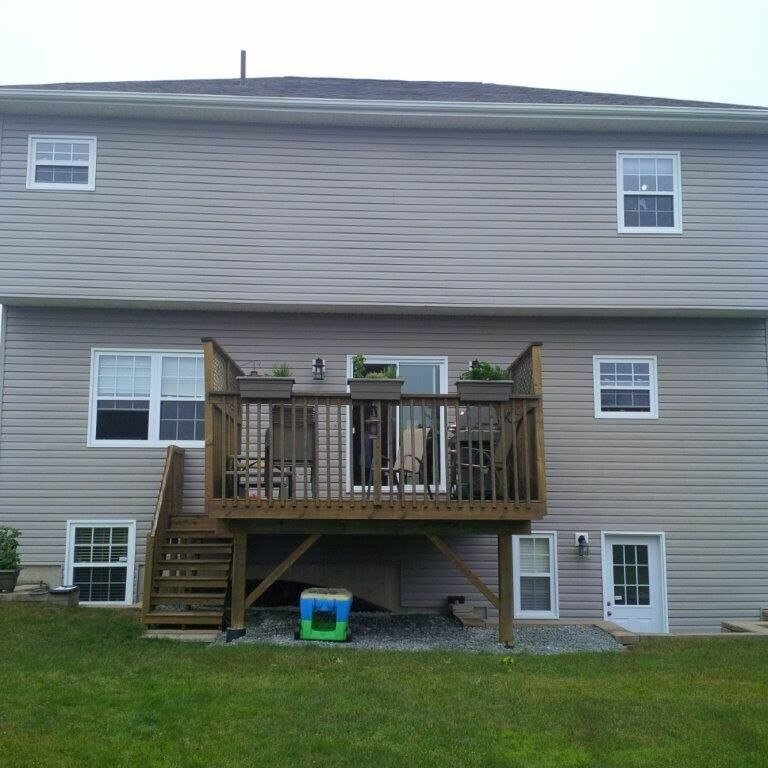 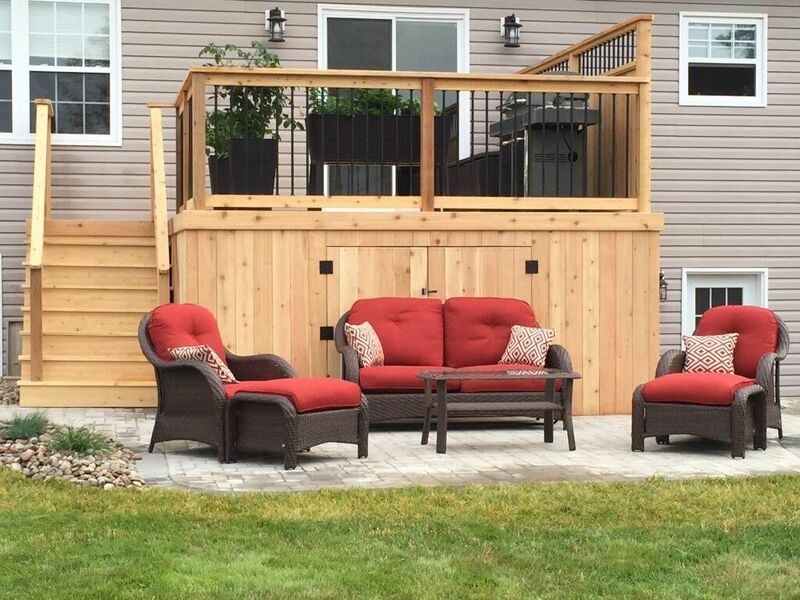 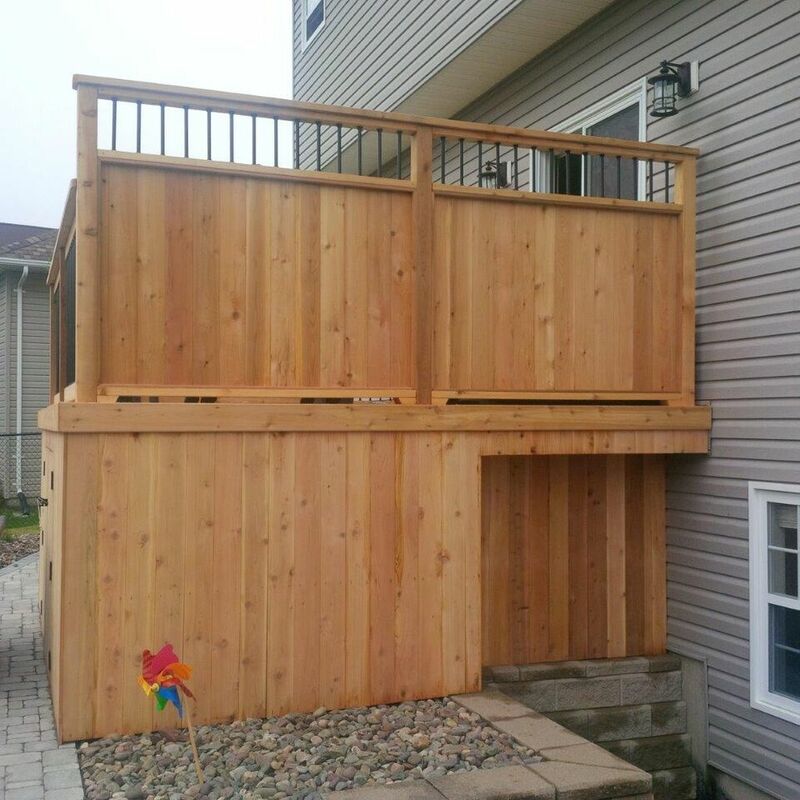 The natural oils make Eastern White Cedar a beautiful choice for any outdoor project. 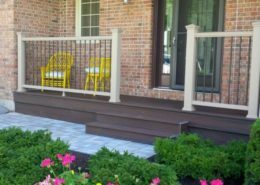 Black aluminum balusters were used to add contrast to the Eastern White Cedar railing and double doors in the front provide access to the storage space. 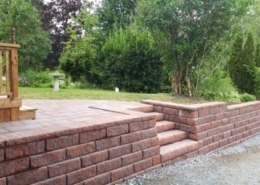 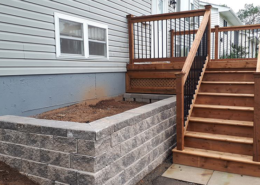 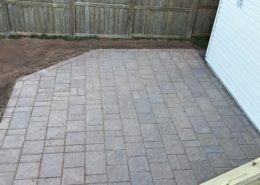 Notice the lower level, this paver patio provides a second level for the homeowner to incorporate a beautiful sitting area, surrounded by green and natural stone.